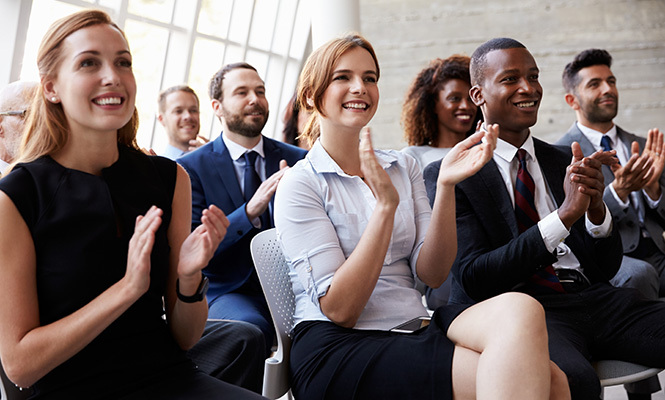 Registration is now open for the second annual NPA registry course, The NeuroPoint Alliance, Inc. (NPA) and Your Practice: Using Registries to Enhance Quality, Reimbursement, Certification and Clinical Research, being held in conjunction with the 2019 AANS Annual Scientific Meeting on Sunday, April 14, 7:30 a.m.-4:30 p.m. at the San Diego Convention Center. NPA initiatives such as the Stereotactic Radiosurgery (SRS) registry, the Quality Outcomes Database (QOD) spine and neurovascular registries and the Registry for the Advancement of Deep Brain Stimulation Therapy in Parkinson’s Disease (RAD-PD) will be used to demonstrate how organizations can benefit from participation. 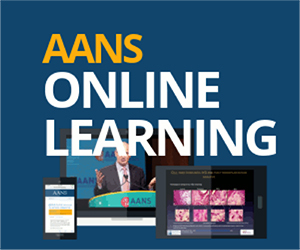 Course faculty include Robert Harbaugh, MD, FAANS; Anthony Asher, MD, FAANS; Mohamad Bydon, MD, FAANS; Kevin Cockroft, MD, FAANS; Kevin Foley, MD, FAANS; Regis Haid, MD, FAANS; John Knightly, MD, FAANS; James McInerney, MD, FAANS; Praveen Mummaneni, MD, FAANS; Ralph Reeder, MD, FAANS; Jason Sheehan, MD, PhD, FAANS; and Brad Zacharia, MD, FAANS. The course also features a presentation on artificial intelligence analysis of registry data by Richard E. Gliklich, MD. Dr. Gliklich, Leffenfeld professor of otolaryngology at Harvard Medical School and a surgeon-scientist, is also the chief executive officer of OM1, a Boston-based healthcare technology company focused on understanding the patient journey and the true results of healthcare. 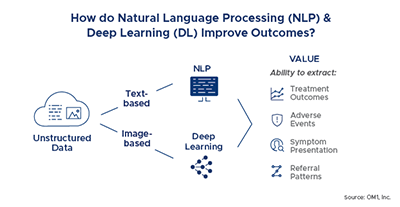 OM1 applies machine learning algorithms to repositories of clinical data to better predict how certain care practices will affect patients’ recovery. 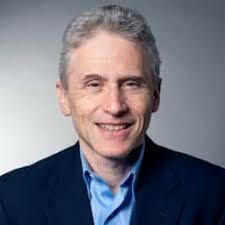 Dr. Gliklich is a well-known thought leader in the areas of registries, outcomes and analytics, and is the senior editor of the landmark publication by the U.S. Agency for Healthcare Research and Quality (AHRQ) handbook, Registries for Evaluating Patient Outcomes: A User’s Guide. He also is past president of the outcome division of Quintiles, the largest provider of biopharmaceutical development and commercial outsourcing services. Dr. Gliklich led the division from its start as a spin-off from his Harvard-affiliated research laboratory in 1998 through its acquisition by Quintiles in October 2011. He focused on the strategic development and practical deployment of registries, studies and safety surveillance programs, including the application of state-of-the-art technology to better achieve the unique goals and requirements of the post-approval phase. Dr. Gliklich also focused on post-approval research programs, particularly observational research on effectiveness, safety and quality of care. Some of the programs he developed include the American Heart Association’s Get With The GuidelinesSM registries in cardiovascular disease, heart failure and stroke, which involve more than 2,500 U.S. hospitals and more than one million patients and received the 2004 Innovation Award from the U.S. Department of Health and Human Services and the 2007 eHealth Initiative Award. During the 2019 course, Dr. Gliklich will discuss how the next generation of registry technologies is shifting towards patient-centricity and is beginning to deliver on the promise of personalization with data that are gathered from different settings of care. Cutting-edge technologies will begin to provide the framework to capture patient outcomes and use the information in shared decision-making processes between patients and their care providers. Claims data, socioeconomic data and other non-medical sources of information can be combined and harmonized to determine the right treatments for each patient. As a result, various medical specialties are partnering to get to an agreement as to what matters in the patients’ journey through their particular condition or disease state. The need to store, secure, query, process, analyze and manage big data has led to the development of numerous technological innovations over the last 20 years. 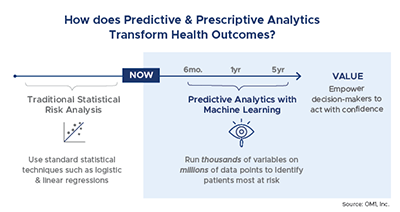 Using different mathematical techniques and modeling, predictive analytics use existing data to find trends and patterns, and help to identify who is most at risk and what outcomes can be expected. Artificial intelligence (AI) and big data are transforming real-world evidence (RWE) from a largely retrospective viewpoint to a more concurrent and forward-looking set of capabilities. This paradigm shift also will drive RWE to the forefront of strategy for both healthcare and life sciences organizations. While there are many different components of AI that offer new approaches and methods to evaluating and generating real-world evidence, one common thread throughout is the importance of big data and the interdependency on having access to enormous amounts of data. By embracing these innovative concepts, researchers and clinicians can generate RWE that is more dynamic, timely, representative, comprehensive and cost-effective. This next generation of RWE will also have the ability to be used to measure, predict and personalize care in a way previously not possible. In the end, all healthcare stakeholders benefit when medical products and services are focused on and delivered to those who will benefit the most. We invite you to join the NPA as we explore these topics and many others at our second annual full-day registry course. The morning segment will focus on the varied uses of registry data for patient care, quality improvement, clinical research, education and revenue enhancement. The afternoon segment includes break-out sessions exploring each of these areas in greater detail. Current participants in NPA registry programs are eligible to register at a discounted rate. Members of the Neurosurgery Executives Resource Value & Education Society (NERVES) are also eligible to receive special pricing. Registration is now open. Contact the NPA office by email at info@neuropoint.org or phone at 847.378.0547 for more information. Michele Anderson, is the client development specialist for the NeuroPoint Alliance (NPA). The author has no conflicts to report.